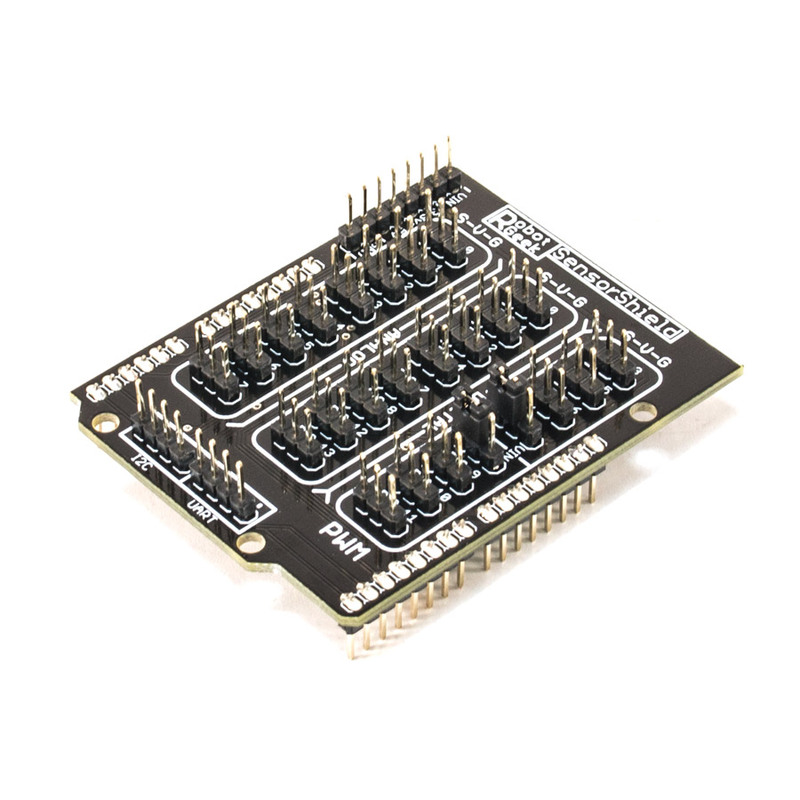 Want a simple untethered control solution for your next project? 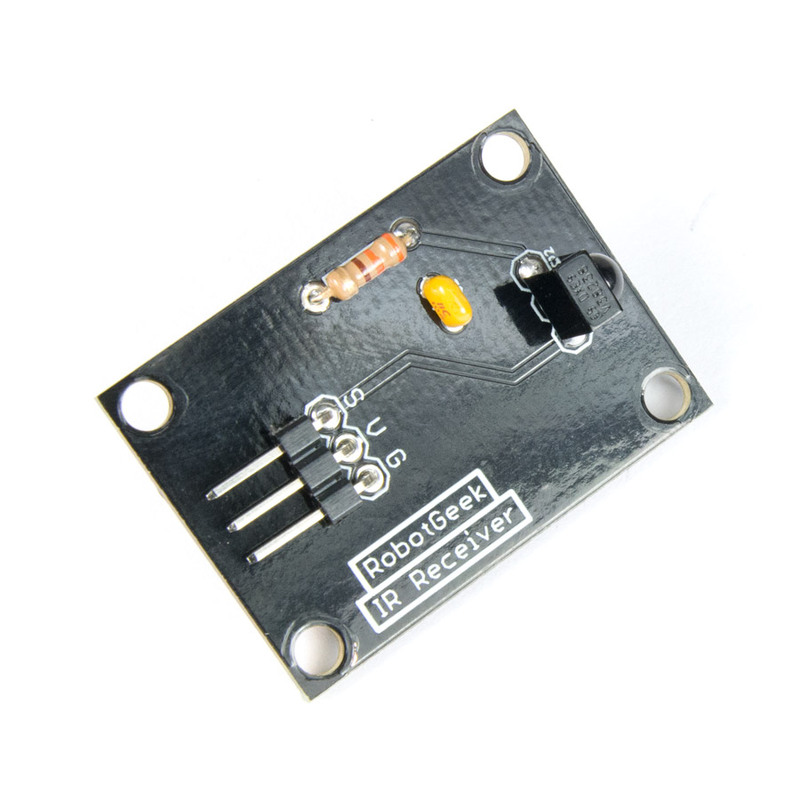 The RobotGeek IR Receiver has you in its line of sight! 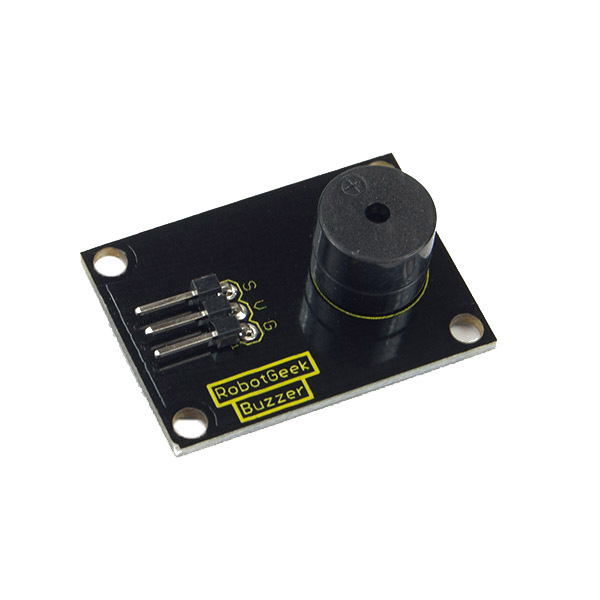 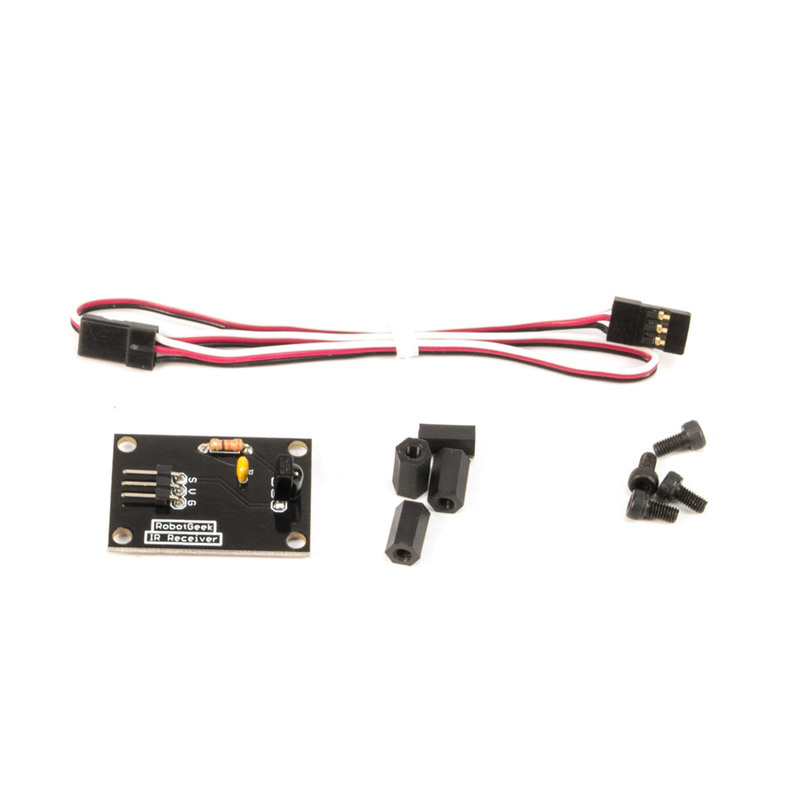 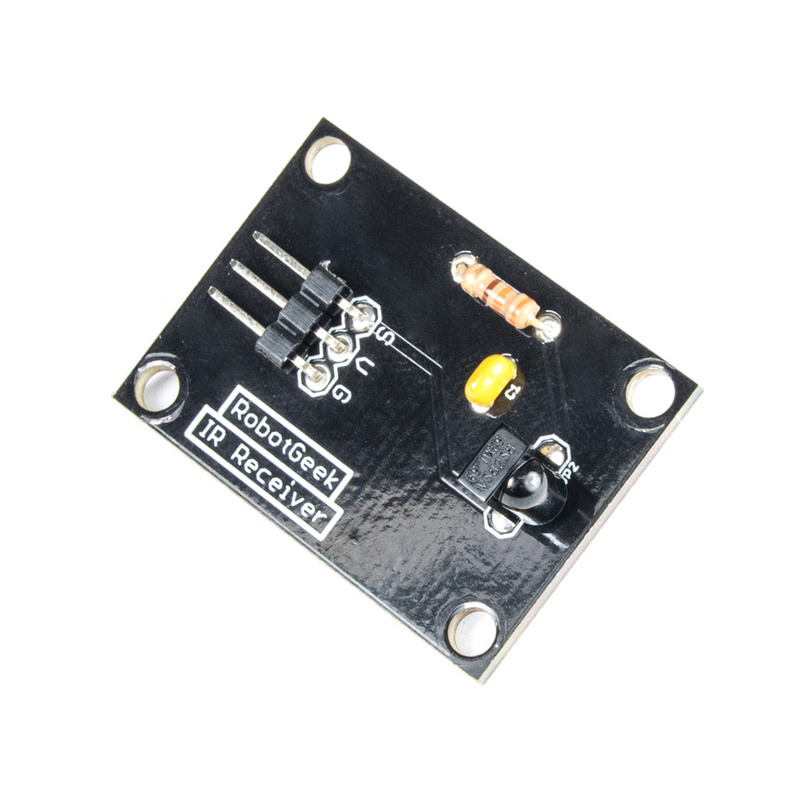 This infrared receiver will pick up signal from any remote that sends an infrared signal, or can receive from another ~duino sending signals with the RobotGeek IR Transmitter! 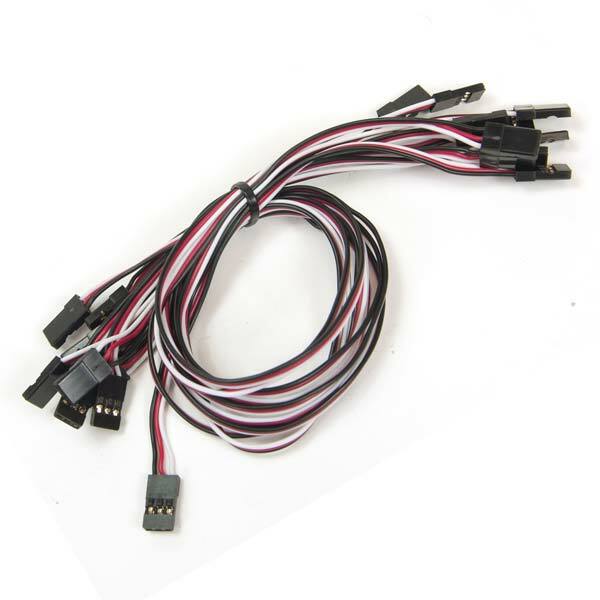 Each sensor also includes a RobotGeek Sensor Cable.